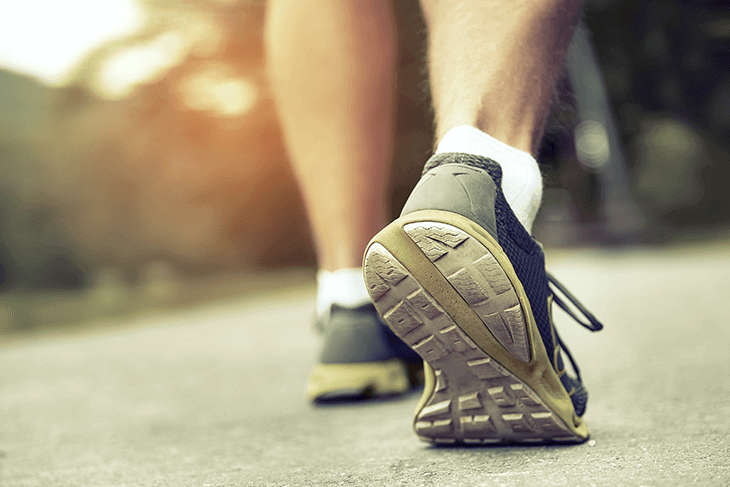 You're probably wondering: What makes the best walking shoes so beneficial? Can't you just walk around town wearing plain slippers or any type of shoes? Do you hate having to take off shoes because of the pain you feel? With walking shoes, you won't need to worry about that. Walking shoes offer extra padding and mesh material that won't make your feet feel stuffy when wearing it. No problem with sweaty feet as well, because the mesh material found in many walking shoes will be able to keep your feet breathing and well-ventilated. The right walking shoes have arch supports and the flexibility to prevent any type of injury. The shoes will be able to adapt to how your feet are shaped, encouraging a better range of motion. So whether you're suffering from a foot condition or flat feet, you can find the right walking shoes to protect and offer the support you need that prevents it from hurting. Walking shoes also offer the proper balance needed to walk properly. It offers the necessary support to avoid your body from overcompensating, which also leads to less pain and injury around your back and lower body. What makes running shoes a great investment is how strong they are. They are built to last long walks, and unlike other types of slippers or casual shoes, they are fit for walking and will withstand all types of walks for years! You won't need to constantly replace your shoes, as all you need is a pair to get you through your trips and jobs. The right walking shoes will affect your performance when walking. Comfort will build your endurance and speed, having you walk the distance. It's grew when traveling and touring around the entire day. Not only will endurance increase your speed and distance, but you'll also be able to burn more calories and live a healthier life. Where will you be walking? WIll you be walking on roads and pavement? Then a more casual walking shoe is more appropriate. If you plan to walk around nature paths or tougher terrain, then trail or hiker walking shoe is best. The latter is stronger and have the soles to withstand the rough ground. If you think you'll be trekking around water as well, search for waterproof shoes, or shoes that provide more durability when drenched in water. Bend the heels and toes of the shoe, making sure that the shoe bends under the ball of the foot. Twist the shoe sole, looking for a bit of resistance. The right shoe will be flexible when bent, but will still have light resistance for support. The difference between walking and running shoes is that walking doesn't put as much impact compared to running. With that being said, there is less cushioning in a walking shoe. Cushioning is usually under the ball of the foot, where you exert impact as you take each step. Walk around with the walking shoe and see if it is comfortable enough as you take a step. If you want a minimalistic feel, then you may want to check out walking or running shoes with as little cushioning as possible. The shoe weight will help offer comfort, as you won't want to lug around heavy shoes as you walk or carry it around. Find the right she that offers light weight and good support, similar to running shoes. Asics is well-known for their walking and running shoes built to last. The Asics Men's GEL-Tech Walker Neo 4 holds no exception! What I love about this pair of shoes would be how simple and minimalistic the design is. It comes in either white, royal, or black colors, making it match just about any outfit. It has the Asics logos and lined details that make it the original Asics shoe known and loved by thousands. It's made out of fabric and synthetic material, imported from abroad. The rubber sole is comfortable and provides comfort around the foot, making it easy to walk around in. Plus, I love how lightweight it is, so I find it easier to distribute my weight and walk without feeling too heavy. The breathable mesh panels with padded tongues and collars are another thing I appreciate with the shoe, as I am able to walk around everywhere without worrying about my sweaty feet ruining the material. A bit narrow, which is disadvantageous for those with wide or flat feet. Whether it's for work or a casual day out, these stylish shoes will help make your feet comfortable and looking good all day. The Rockport Men's World Tour Classic walking shoes are the professional footwear you need for walking on the job or out traveling. It's made out of leather and with a synthetic sole, excellently made for a strong build. The shoe caters to wide and narrow feet alike, making sure that you get the right fit every time. My shoes fit perfectly and as expected upon ordering them, and when trying it out, you can really feel the stability and support it provides. It comes in different colors to choose from, and with its sleek look and soft feel, it's definitely worth the investment. Skechers is well known for their fantastically designed and comfortable shoes, with the Sketchers Go Walk 3 being a great choice for many. What I love about these slip-ons is the fact that they are easy to put on and take off. They are constructed for strength and style. It's perfect for a day out! The shoe comes in various dark shades and colors, making it perfect for any preference. It's lightweight and flexible, with the shoe offering enough support and range of motion. The mesh upper and yoga mat insole gives me more comfort and ease when walking. My feet don't feel stuffy or hot, and after a few uses, I can confidently say that these shoes are built for a while day of walking without feeling any pain whatsoever. New Balance is a well-known brand of shoes and latest technology they use to ensure ultimate comfort and style for all their customers. The New Balance Men's MQ411V2 walking shoe is a great pick because of its extra cushioning and soft designs that make it attractive. The shoe has a perforated upper and is made out of leather, so you are assured comfort and quality. Whenever I walk, you can feel that the weight is distributed evenly for less to no pain at all. I also love the fact that it's more affordable than most reputable brands, but still offers the comfort and quality I need when walking long periods of time. They feel great when walking and no matter how long I walk for in a day, my feet still feel fresh. If you're looking for an affordable pair of walking shoes that fit style and comfort, then this is a great choice. Rockport offers leather shoes that are great for casual wear, work, or for semi-formal events. The leather shoes and synthetic sole provide durability and strength no matter where you walk around in. It uses ADIPRENE technology for ultimate comfort and flexibility, so no need to worry about any risk of injury or pain after a whole day of walking around. The outsells provide durable and stable movement with better range of motion. Plus, it offers extended sizes and widths, making it a glove-like fit for either narrow or wide feet. Upon wearing them, I felt the instant comfort and how different it was as compared to other walking shoes. You can definitely feel that they put priority on comfort and stability WITHOUT compromising on the style! Whether you're walking for exercise or always on the feet at work and school, you'll need to make sure that your feet are as comfortable as possible. This will require the best walking shoes for men! 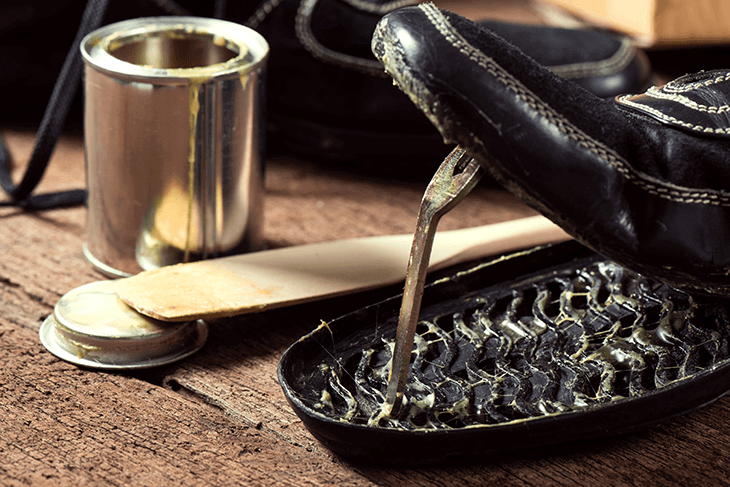 The right shoes for you will be able to make sure your feet are safe and protected from any injury. Plus, they'll look great when styled properly, making it a nice touch to your outfit. Of the many shoes we've reviewed and rested, the winner would have to be Asics GEL-Tech Walker Neo 4 Men's Walking Shoe. Its simple and sporty design makes it a winner in our eyes because of how it can match work uniforms or any type of outfit. It's versatile and is a great pair of shoes for casual days out, the daily grind, or even when traveling and walking around everywhere! With its breathable mesh material and padded tongues for extra comfort and relief, you'll be able to walk without feeling a twinge of pain for hours at a time! Simple design and comfortable shoes for any type of feet, you can see why it's our top walking shoe for men! Hopefully, this article on the set best walking shoes for men will have made you more knowledgeable with what you need in order to purchase the right pair of footwear you need for your next trips and walks to come. So what are you waiting for? 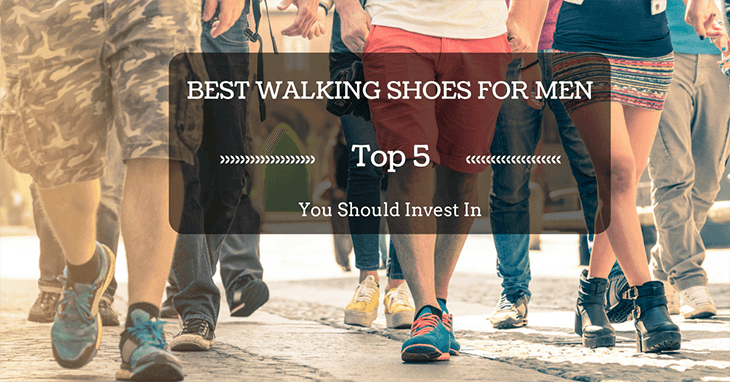 Invest in the best walking shoes today! We hope you enjoyed the article. If you have any more reviews or suggestions on the best walking shoes for men, then do comment down below. We would love to hear what you have to think!